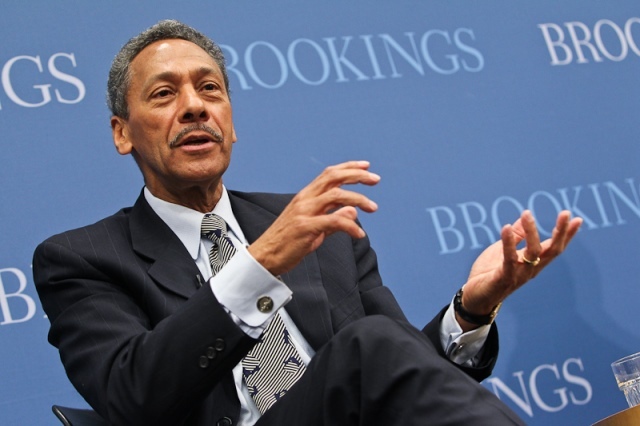 Federal Housing Finance Agency (FHFA) Mel Watt is refusing to cooperate with an independent investigation into charges that he sexually harassed a female employee of the agency. Watt, who was appointed by President Obama, is scheduled to leave office in January. Last month, Simone Grimes, a special adviser to the FHFA and the woman who accused Watt of sexual harassment, filed a $1 million lawsuit against the agency for allegedly denying her a raise after rejecting Watt’s advances. The lawsuit also charged that she was paid less than the man who previously held her job. Grimes also filed an Equal Employment Opportunity complaint within the agency earlier this year, which is the basis of the investigation by the FHFA’s inspector general.